TypeCon2018 headquarters will be the recently redesigned Hilton Portland Downtown. Conveniently located in the heart of the city, the Hilton is just a short walk from the MAX Light Rail system, providing handy transportation from Portland International Airport. Its central location offers easy access to nearby attractions such as the Portland Saturday Market, the Oregon Museum of Science and Industry, Powell’s Books, and the Portland Art Museum. 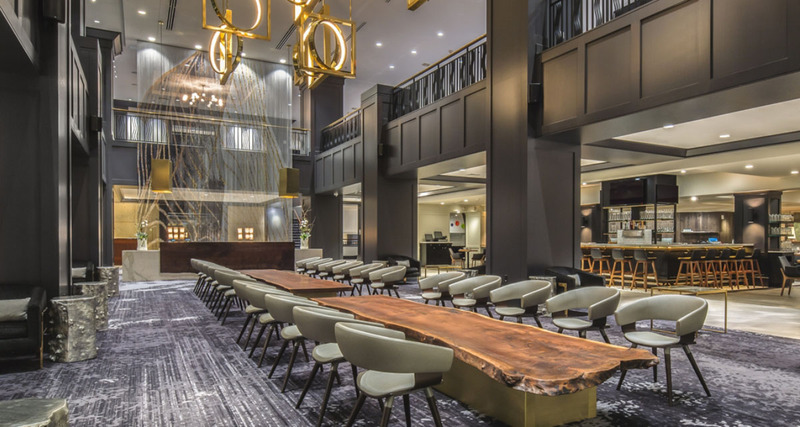 Attendees will enjoy amenities including a freshly renovated fitness center, the amazing HopCity Tavern gastropub, complimentary in-room internet connectivity, and electric vehicle charging stations. * Single or double occupancy, plus taxes. Attendee rate available until Friday, July 6th, on rooms booked for Saturday, July 28th through Wednesday, August 8th. Attendees must call the hotel to determine availability of rooms outside of these discounted dates. All rooms are subject to availability. Parking at the hotel is valet only, with an overnight rate of $50. SpotHero is a parking reservation service that connects drivers to discounted, convenient parking. Visit the Downtown Portland Parking Page and save up to 50% off of regular drive-up rates.